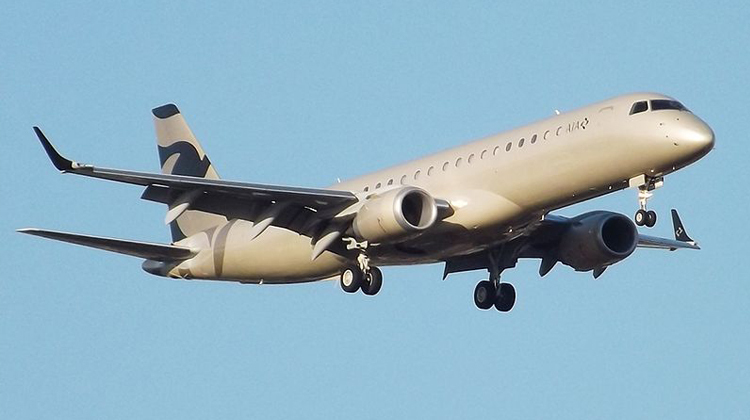 Flying on a long-range destination is best when you hop on a private Embraer Lineage 1000. Its comfy interiors will make you feel like you’re right at home, when you’re in fact going to the other side of the world. By chartering for a private Embraer Lineage 1000, you can reach Rio de Janeiro, Brazil or Athens, Greece if you’re coming from Toronto, Canada. These destination ranges can be reached in one flight, when you ride on a private Embraer Lineage 1000. With this plane, there’s no need for connecting flights, and you won’t be at risk of cancellations. Did you know this jet has a total of five zones? Hop aboard and you’ll find the cockpit on the left and galley on the right. Upon entering the main cabin, you’ll see the first zone with club laid out seats and the first row of lavatory with a changing room. There are a total of three zones which have club laid out seats for passengers to relax in. The middle of the cabin has a main living room with a widescreen television and couches. The fifth zone has a bedroom for you to sleep in. At the cabin’s rear, you’ll find a shower area so you’ll stay and feel fresh while flying. There are certainly lots of reasons why hopping on the Embraer Lineage 1000 would be cozy and even exciting for long range trips. Know more about the plane’s specifications and charter for a private trip today. The Embraer Lineage 1000 has awesome features which you’ll find quite convenient whether you’d like to relax or stay productive throughout a 6-hour flight. For instance, the club seats have tables which can be pulled up and folded out. These are used for relishing meals and enjoying snacks. The tables can also be transformed into workstations so you can catch up on your emails or update your cloud based documents. When not in use, the same tables may be folded in and pushed below so passengers can stretch out their feet and recline their seats. The Embraer Lineage 1000 has a wide flying range which allows for you to reach intercontinental destinations. To have a better idea of its speed, this plane can reach its highest altitude at 41,000 feet within less than 21 minutes. Given your target destination, it would also be advisable for you to confirm the aircraft’s allowable load of passengers and baggage with the operator. This way, the best possible combinations of routes and schedules may be prepared for your flight plan. Keep in mind, a much lighter aircraft can fly you to farther destinations at the soonest time achievable. Manufactured by Brazilian based company Embraer, the Embraer Lineage 1000 had its first flight in 2007. With the Embraer 190 as its inspiration, this exclusive private jet roughly has 21 units being flown all over the world. Some of its major operators include Al Jaber Aviation and Falcon Aviation. It was even added as part of the Royal Jet’s fleet.